Jump to video Al-Qaida behind terror plot? Next story in Airline Terror Plot Plot mastermind in Afghanistan? 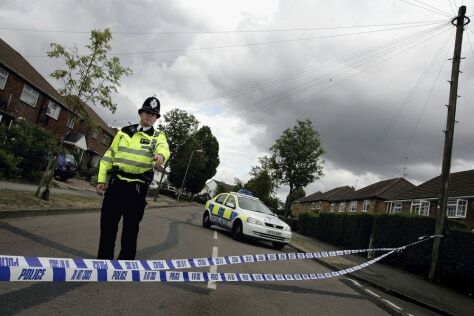 A police officer stands guard on Walton Drive in London, England, after it was closed off following a police raid on a house on Thursday.